Beginning in 2003, with the debut of its show-stopping Landmark Fifth Wheel, Heartland has been making a mark in the RV industry with a mix of luxury and innovation. Heartland has not wavered from its commitment to use only the “best” materials available in its fifth wheels, travel trailers and toy haulers. 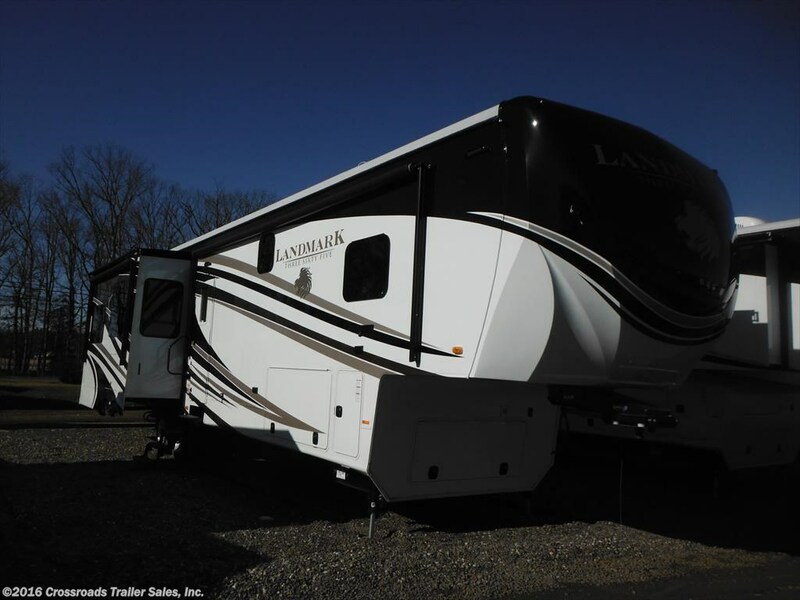 While other dealers were chipping away at the entry-level market, cutting back on comfort features with modest bumper towed travel trailers, Heartland rolled boldly into the luxury market betting its business on discerning RV owners who were looking for quality, comfort, a smooth ride, and outstanding resale value. What buyers of that first Heartland Landmark also found was a revolutionary tight turning radius design that made it possible to tow the luxury fifth wheel with the popular and comfortable extended-cab short-bed truck, without the need for a pricey and awkward after-market slider hitch. The innovations didn’t stop there. Following the lead of luxury motor coaches, Heartland consolidated all the major hook-ups for their fifth wheels in a Universal Docking Center – this one-stop center took hookups and pull handles out of hard-to-reach exterior panels and brought all the coach’s system to a common terminus. With all the hook-ups and controls centralized, Heartland opened up an exterior storage space – up to 140 cubic feet on some models – on its fifth wheels. With slip-resistant, easy to clean rubber flooring and free of pulls, tubes and plumbing, the wide-open storage space is unique to the towable industry. The commitment to quality didn’t stop at storage and controls. Heartland used real Armstrong brand flooring, Corian countertops, maple hardwoods, ball-bearing drawer glides, residential quality furnishings – including offering king-sized beds – and custom bedroom cabinetry and storage. The bathroom included a one-piece fiberglass shower enclosure with monogrammed glass door. 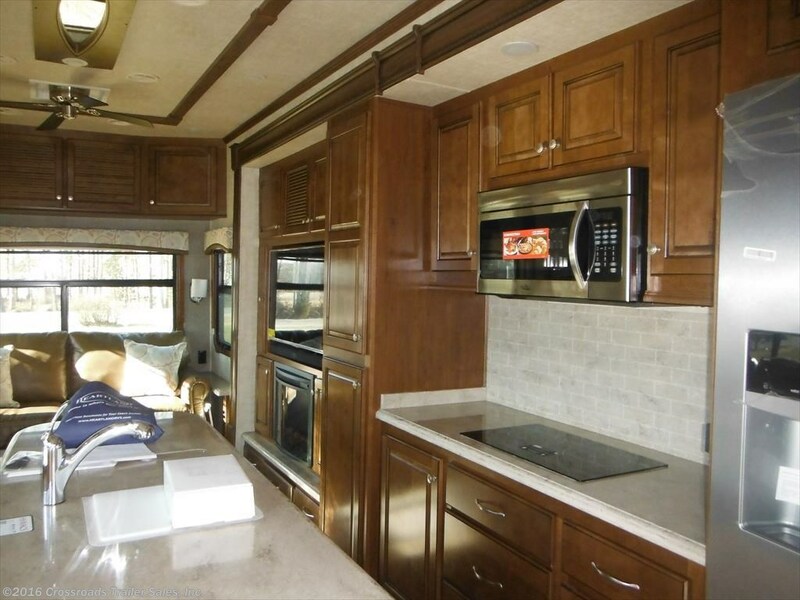 Following the immediate success of the Landmark, Heartland introduced other towable RVs. The Bighorn brought Heartland’s commitment to quality to the market at a more affordable price. With many luxury appointments and Heartland’s innovation, Bighorn became the flagship of the Heartland Company. 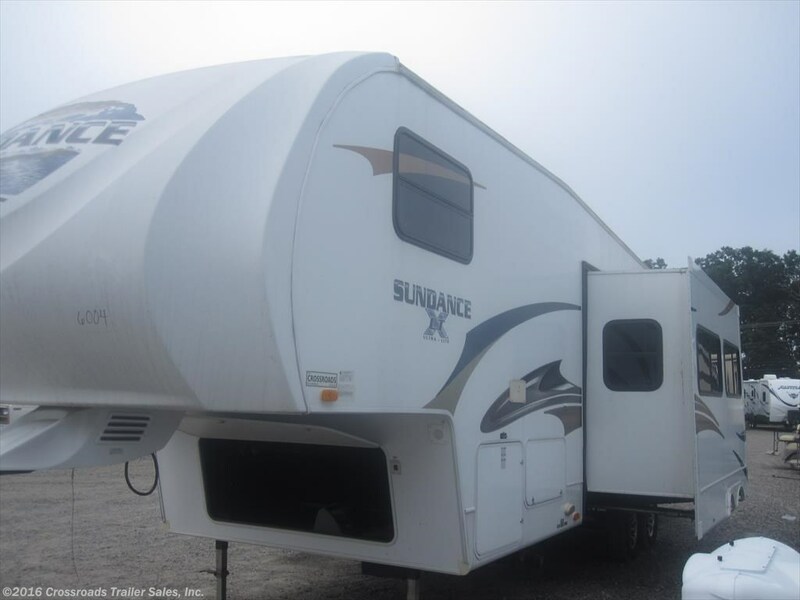 The mid-profile Sundance soon followed along with the entry-level towable Trail Runners and Cyclone toy haulers. Moving to a new production facility in 2006 brought innovation and new models including the Big Country fifth wheel and Razor toy hauler. Heartland entered the ultra light towable market with laminated construction, lightweight North Trail travel trailers and fifth wheels, which feature many of the luxury appointments and innovations of the flagship Landmark and Bighorn. In 2008, the North Country, wood-constructed, aluminum-sided travel trailers joined the family. Innovations and additions continue in the Heartland family, with the introduction of new models of fifth wheels, travel trailers, destination trailers and toy haulers. Across the family of luxury fifth wheels and travel trailers, toy haulers, destination trailers and lightweight towables, Heartland maintains a commitment to quality and innovation. In 2014 it circled back to its original Landmark with a redesign, and still more innovation designed to appeal to the seasonal and year-round RVer, delivering a truly luxurious home. The Landmark 365 – for those who call their fifth wheel home year around – is available in eight floor plans – each one a testament to design efficiency and luxury. 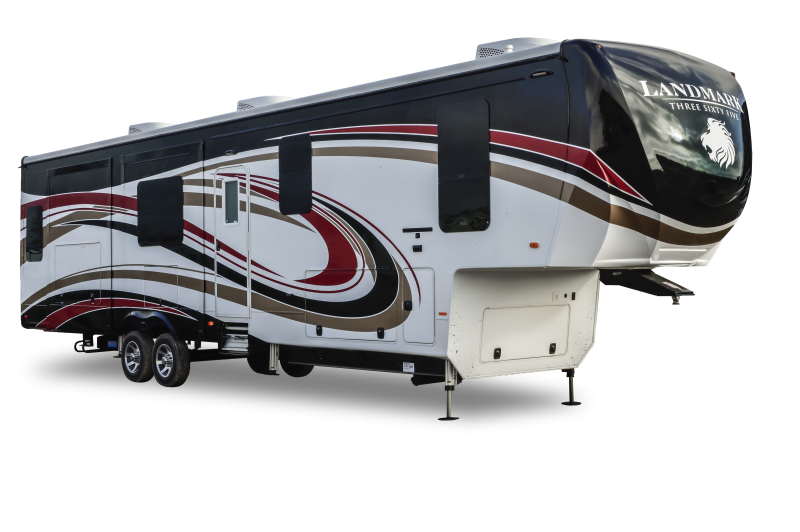 At less than 40 feet, the new 2016 Landmark Syracuse is a model of modern RV living combined with Heartland’s signature maneuverability. The distinctive flat roof results in more headroom, and combined with the dark silver full-body paint and tinted frameless windows, creates an imposing impression. 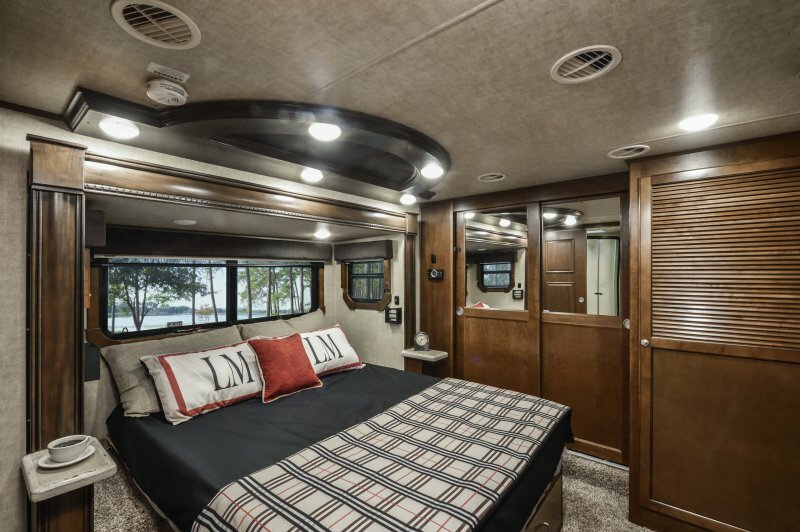 The newly redesigned Landmark Syracuse is loaded with luxury, starting in the forward bedroom with a king-sized bed, cedar-lined storage drawers, and a two-way mirror that hides a 32-inch mounted TV. The home-style kitchen option eschews a standard oven for a residential-size stainless-steel High Pointe convection/microwave that pairs with a two-burner True Induction cook top. The cooking innovations create more room for storage – a must for full-timers. A kitchen island adds prep and gathering space along with large, full-extension drawers on ball-bearing drawer glides. The focal point of the living area is a hardwood entertainment center featuring an electric fireplace and 65-inch flat screened TV. Non-skid, stain resistant, rubberized pass-through storage for fifth wheels. Mega-bath and mini-mega bathroom for Heartland fifth wheels. Experience the Heartland difference at Crossroads Trailers, where a full selection of new and used fifth wheels and trailers is available to explore. This entry was posted in Featured Brand, Featured Units, Uncategorized and tagged 5th wheel, fifth wheel, Heartland, travel trailer by admin. Bookmark the permalink.